Measurement range: 0.1 ranging up to 5000 microns. Particle size analysis of soils: Hydrometer method. This equipment is used to determine the quantitative size distribution of very fine particle in soils such as clay and silt. - Sedimentation Cylinder, 1000 ml capacity (6pieces) with rubber bungs. We bring forth vast industrial experience and expertise in this business, involved in offering a high-quality range of Particle Shape Analyzer. 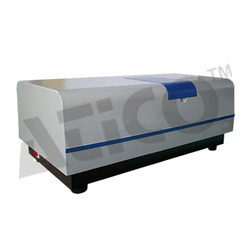 The Particle Size and Shape Analyzer is developed for fast and accurate Particle Size & Shape Analysis. 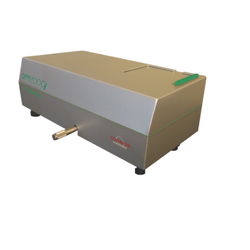 Combining two Single Particle Sizing methodologies: a Dynamic Laser Technology and a Dynamic Video/Camera technology both on the same sample. Single Particle Sizing ensures high resolution and better results. CILAS offers a variety of accessories to boost your productivity. Our accessories are compatible with all CILAS particle size analyzers and are controlled using The Size Expert software. - Large particles are classed by a neural network as "cutting, fatigue, severe sliding, nonmetallic, free water droplets or fibers"